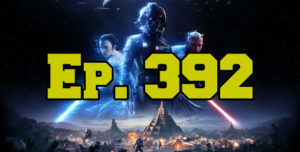 On this episode of The GAP Luke Lawrie and Joab Gilroy talk about getting some hands on time with the campaign for Star Wars Battlefront II. They also discuss the games they’ve been playing which includes Middle-Earth: Shadow of War, The Evil Within 2, Mini DayZ, PlayerUnknown’s Battlegrounds, and more. Over in the news World of Tanks will be getting Australian servers, Freddy Krueger is coming to Dead By Daylight, and OpenCritic wants to take a stand against loot boxes. This episode goes for 2 hours and 25 minutes, it also contains coarse language.